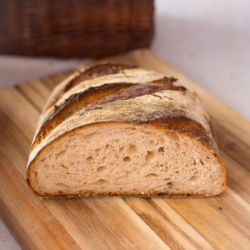 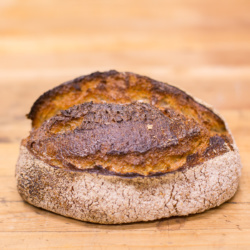 Our Whole-wheat Sesame Sourdough bread uses a variety of organic flours from New Zealand and Australia in combination with toasted black and white sesame seeds for a nutritious sourdough loaf! 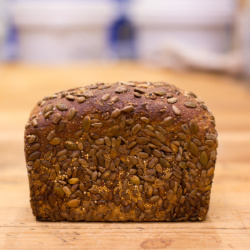 This 38% Wholegrain loaf is inspired by the toasted sesame flavour in our bagels, and it has a nice nutty tahini flavour with a sour edge. 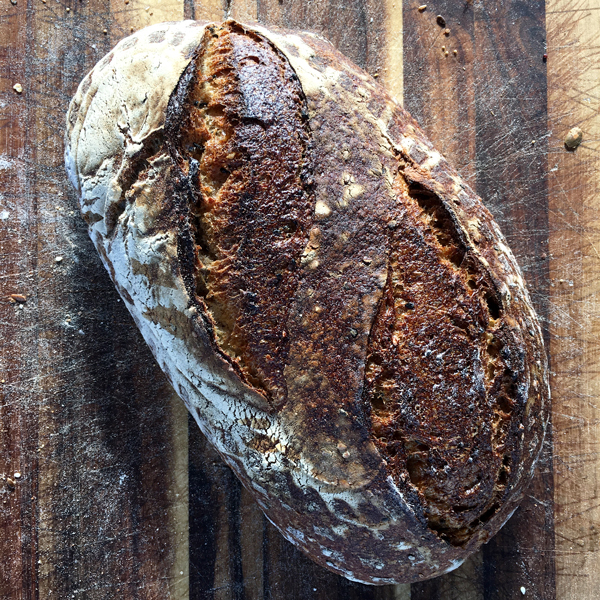 This is a medium sized loaf that will keep for about 3-4 days.